It’s almost that time of year again. 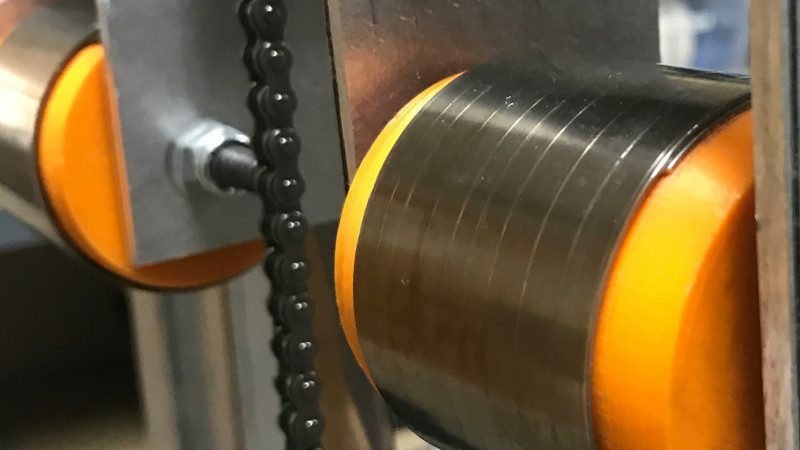 Since the beginning of the fall semester, teachers and students around Orange County, CA have been working hard to design and build their wildly creative entries for this year’s 5th annual ocMaker Challenge. With highly creative entries like retractable high-heeled shoes and a programmable cell phone battery charger, the ocMaker Challenge celebrates the resourceful, innovative spirit of the modern inventor, or “maker,” as many of today’s tinkerers refer to themselves, which is why a new addition to this year’s competition is a particularly appropriate one. 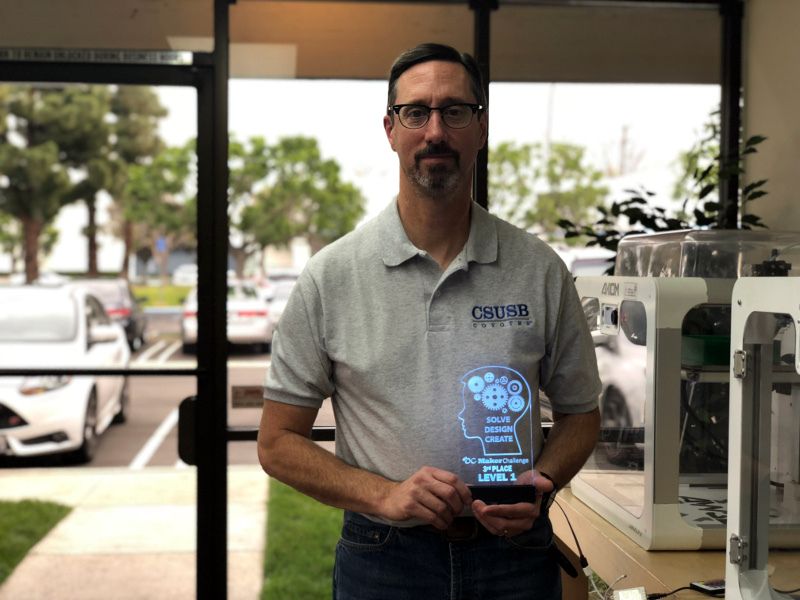 For the first time, this year’s ocMaker Challenge winning entries will be designated by custom-made signs created by local STEM teacher Mark Bush. 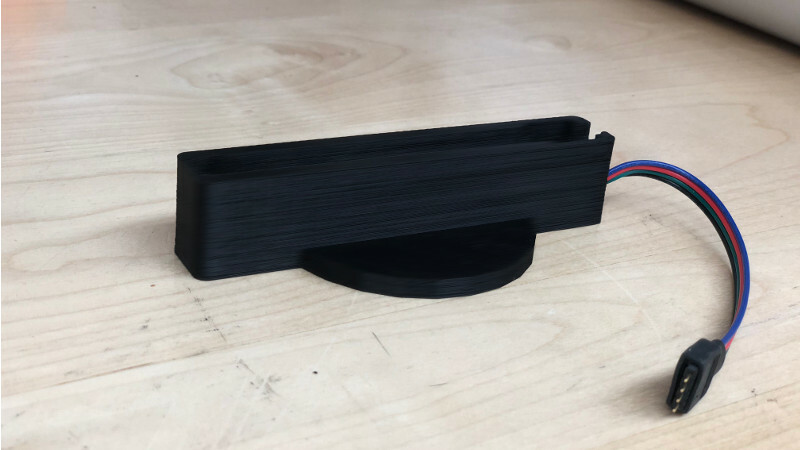 Century High School STEM Teacher Mark Bush has been creating custom LED signs with scrap acrylic from AXIOM 3D printers. With 28 years of teaching experience, Mark currently works at Century High School in Santa Ana, CA, where he teaches T.V. Broadcast Production, e-Business, STEM, and STEAM classes. 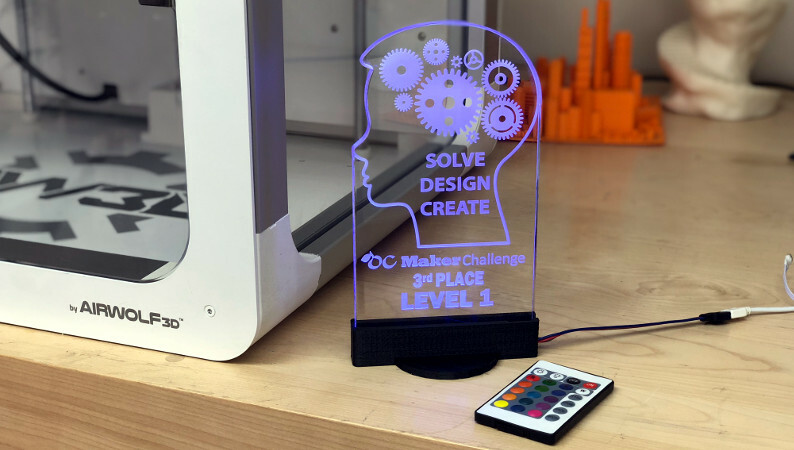 This year, Mark is tasked with replacing the ocMaker Challenge’s traditional printed cardstock signs with an inspired version more fitting of the competition. 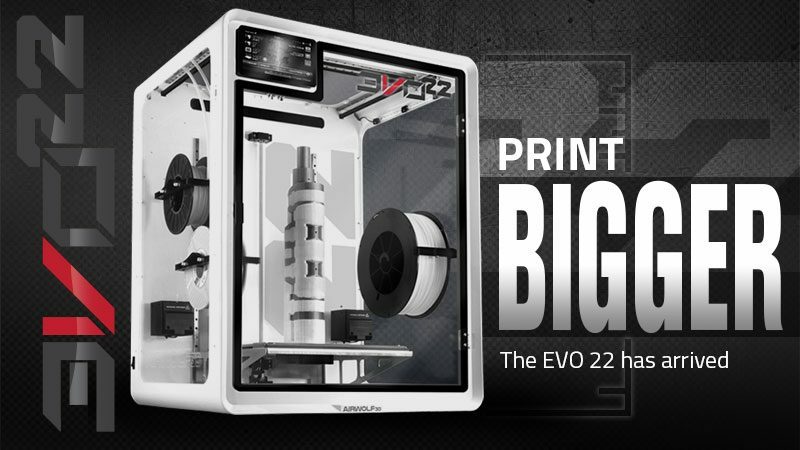 Each transparent sign is engraved with the competition level and finishing place. Best of all, the sign lights up with remote-controlled colored LEDs and comes complete with its own 3D-printed base. 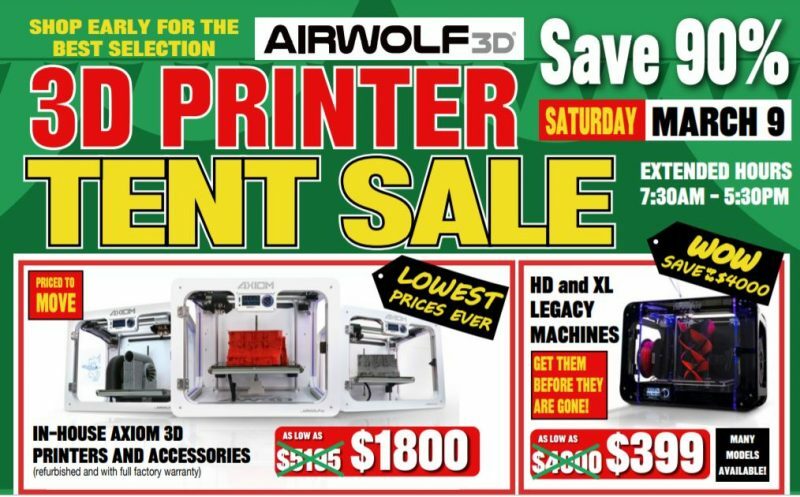 Mark designed the sign’s plastic stand in Sketchup and is 3D printing it in ABS on either his Airwolf 3D XL or AXIOM printer. For the colorful light feature, Mark uses LED strip lights that are affixed into the base and can be programmed and run by remote control. 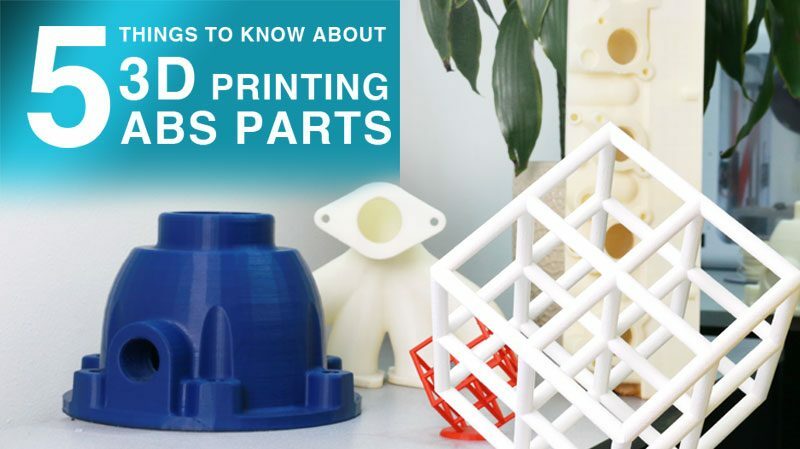 The bases for the LED signs was printed in ABS on an AXIOM 3D printer. 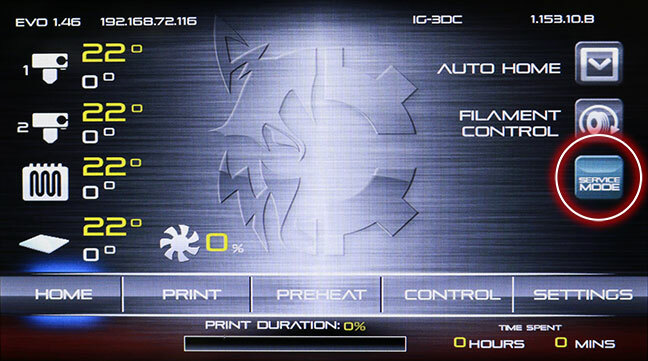 As for the acrylic portion of the sign, Mark uses Corel Draw for the design before laser-cutting and engraving each piece. There’s also a meaningful little secret to each of these glowing placards, and it’s one that’s near and dear to Airwolf 3D. 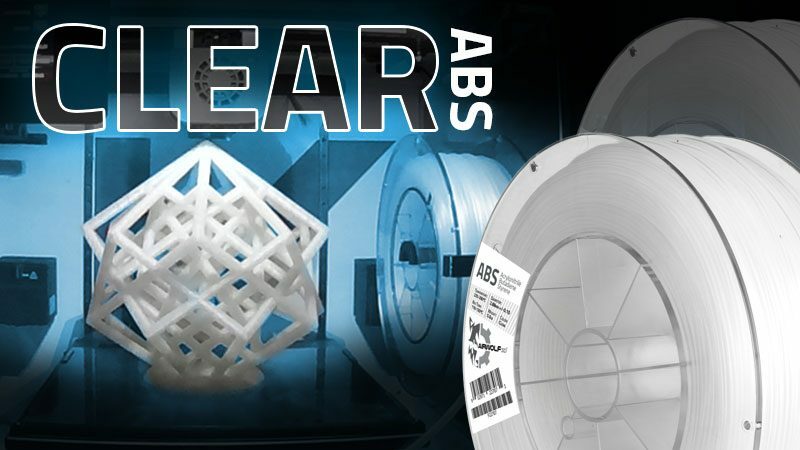 The acrylic used to make each sign is scrap from the actual acrylic used to make an AXIOM 3D printer. 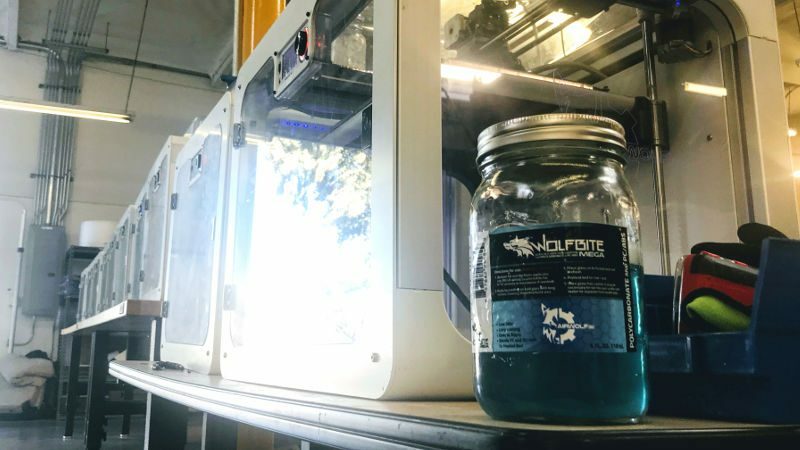 If you’re familiar with the AXIOM, you know that the machine’s patented enclosure is made of clear acrylic and is enhanced by blue LED lights to create the signature “AXIOM glow.” We cut and engrave our acrylic in-house, and one of the byproducts is scrap acrylic that finds new life in the hands of creative makers like Mark. 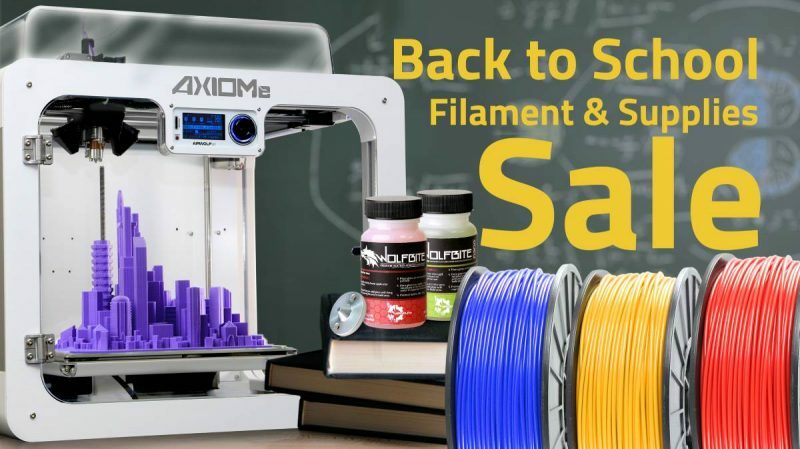 If Mark’s signs look familiar, it’s because they’re cut from scrap acrylic used to make AXIOM 3D printers. With the three top spots recognized in four competition levels, along with three division awards for “Most Innovative” entries and two additional division awards for “Most Socially Conscious” entries, Mark has a little over a month left to finish the 17 3D-printed LED signs commissioned for the May 11 competition. See inventions from some of Orange County’s brightest young minds light up the Hutton Sports Center at Chapman University on May 11-12 — with a little help from Mark’s LED signs, of course. 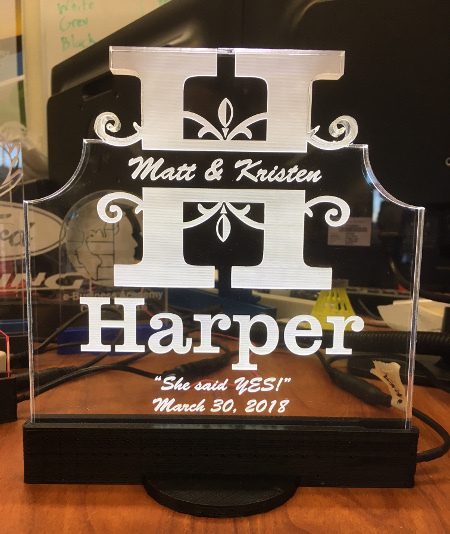 In addition to creating signs for the ocMaker Challenge, Mark creates custom signs that make wonderful gifts, night lights, or promotional items. Mark typically charges for the signs and uses proceeds to fund projects for his students. If you’re interested in having a custom sign made, you can reach Mark at mark.bush[at]sausd[dot]us. 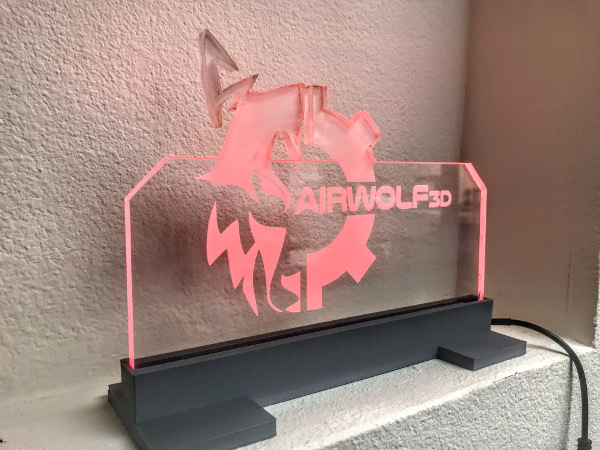 One of Mark’s custom LED signs featuring the Airwolf 3D logo is displayed in Airwolf 3D’s lobby. 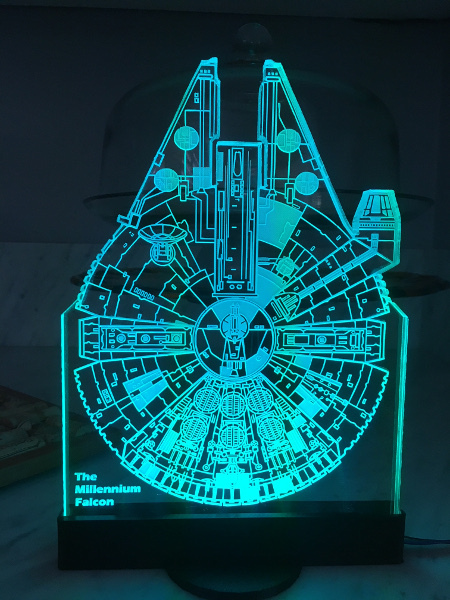 A glowing Millennium Falcon sign designed for Mark’s nephew and son’s friend. Mark’s design for engagement and wedding gifts for a friend.